In one sentence- because I want to live a good life. I want to live a life where I can be myself, do things I enjoy, embrace life and love fully. And I want that for everyone. Looking back I have 3 blessings, lessons, milestones…. 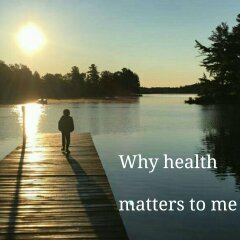 Things that have made me realize the value of health and well-being. First, when I was around 19 and I got diagnosed with endometriosis my priority was my health. It owned me. For anyone who has had a significant health issue you know it consumes you in every way. Your thoughts, your energy your money and your time. I realized things needed to change and I took back ownership of my health when I was 21. When I say I took it back I am not sure if the doctors actually owned it. I started moving, eating, thinking and living better. I payed attention to myself! Who would have thought how little attention we give to ourselves in a way that matters. I cared for and nourished my mind and body myself and I became free and happier than ever before. I also got pregnant around this very time, which was the miracle that got me believing that what I was doing was exactly what I needed. My biggest why is my family. I committed to giving my 3 little ones the best start possible and have no regrets. I researched and learned nutrition and child development so they thrive in all the ways, mind body and spirit. I admit I got obsessive in the early years and have found the right balance for our household. Some good food rules, monkey bars and monkeying around, lots of love, lots of listening and a whole lot of understanding. I know I do not own their health but I was going to do everything I could for a healthy foundation and to keep me healthy so that I can be at my best as a parent and one day as a grandparent and who knows maybe even a great grandparent. My turning point lesson was when my third was a year, my mother got diagnosed with a stage IV brain tumour and flipped our world upside down…. literally overnight. I realized we are all vulnerable. We all need to take better care of our health. My biggest lesson was that health is not only nutrition but also mindset, spirit and love. It also got me to leave my corporate career in order to have better balance in all the ways I needed it. (stress was not one of them) I also knew that I was going to be a lot happier and better at inspiring people to live their best life. The impact of my condition, having a family, and my mom’s illness is truth telling. Health is the first wealth. Nothing else matters if you and your loved ones don’t feel healthy and well. Pay attention and make it a priority. Your turn: Tell me in one sentence why health matters to you.